After the Wuchang Uprising, Zhao Erfeng, who was then the Governor of Sichuan Province, was forced by the situation to declare independence and handed over the regime to the military gov-ernment led by the Revolutionary Party. However, the military government at this time is not stable and faces difficult problems. In such circumstances, it is particularly important to demonstrate the legitimacy of the new Government. Yin Changheng, then the governor of Sichuan, successfully shaped the legitimacy of the new regime by strengthening Zhao Erfeng’s negative image, demonstrating the legitimacy of his revolution, and creating the political identity of the new government. It also made important contributions to the stability of the entire Southwest region and the country’s border security. 张星久. 论帝制中国的君权合法性信仰[J]. 武汉大学学报(哲学社会科学版), 2005(4): 482-489. 尤尔根•哈贝马斯. 合法性危机[J]. 上海: 上海人民出版社, 2000: 127. 曾业英, 周斌. 尹昌衡集[M]. 第五卷, 北京: 社会科学文献出版社, 2011: 1978. 王炎. 尹昌衡和他的时代[J]. 中华文化论坛, 2012(2): 87-88. 龚克. 从赵尔丰到“赵屠夫”[J]. 四川档案, 2014(6): 43-44. 曾业英, 周斌. 尹昌衡集[M]. 第一卷, 北京: 社会科学文献出版社, 2011: 22. 曾业英, 周斌. 尹昌衡集[M]. 第三卷, 北京: 社会科学文献出版社, 2011: 894. 曾业英, 周斌. 尹昌衡集[M]. 第一卷. 北京: 社会科学文献出版社, 2011: 17. 曾业英, 周斌. 尹昌衡集[M]. 第一卷. 北京: 社会科学文献出版社, 2011: 18-19. 曾业英, 周斌. 尹昌衡集[M]. 第一卷. 北京: 社会科学文献出版社, 2011: 23. 曾业英, 周斌. 尹昌衡集[M]. 第三卷. 北京: 社会科学文献出版社, 2011: 901. 张春林. 欧阳修全集[M]. 北京: 中国文史出版社, 1999: 186-192. 赵鼎新. 国家合法性与国家社会关系[J]. 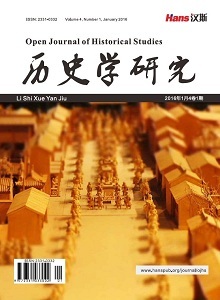 学术月刊, 2016(8): 167-178. 曾业英, 周斌. 尹昌衡集[M]. 第三卷. 北京: 社会科学文献出版社, 2011: 904. 曾业英, 周斌. 尹昌衡集[M]. 第三卷. 北京: 社会科学文献出版社, 2011: 905. 周斌. “与张培爵书”辨析[J]. 近代史研究, 2012(6): 143-144. 周开庆. 民国川事纪要[M]. 四川文献研究社, 1974: 23. 让-马克•夸克. 合法性与政治[M]. 佟心平, 王远飞, 译. 北京: 中央编译出版社, 2002: 12-35. 罗森邦. 政治文化[M]. 陈鸿瑜, 译. 桂冠图书股份有限公司, 1984: 69. 吴燕, 刘一民. 尹昌衡西征三题[J]. 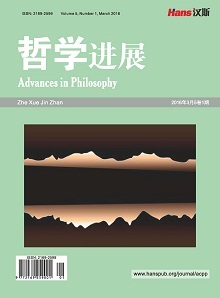 近代史研究, 2013(3): 95-109. 刘晓原. 边缘地带的革命[M]. 万芷均, 译. 香港: 香港中文大学出版社, 2018: 9-10. 任新建, 何洁. 尹昌衡西征史料汇编[M]. 四川大学出版社, 2010: 19. 吴燕, 刘一民. 尹昌衡西征三题[J]. 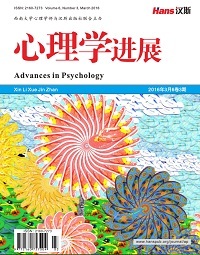 近代史研究, 2013(3): 102. 曾业英, 周斌. 尹昌衡集[M]. 第一卷. 北京: 社会科学文献出版社, 2011: 172. 曾业英, 周斌. 尹昌衡集[M]. 第一卷. 北京: 社会科学文献出版社, 2011: 176-177. 曾业英, 周斌. 尹昌衡集[M]. 第一卷. 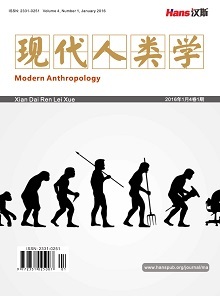 北京: 社会科学文献出版社, 2011: 178-179.